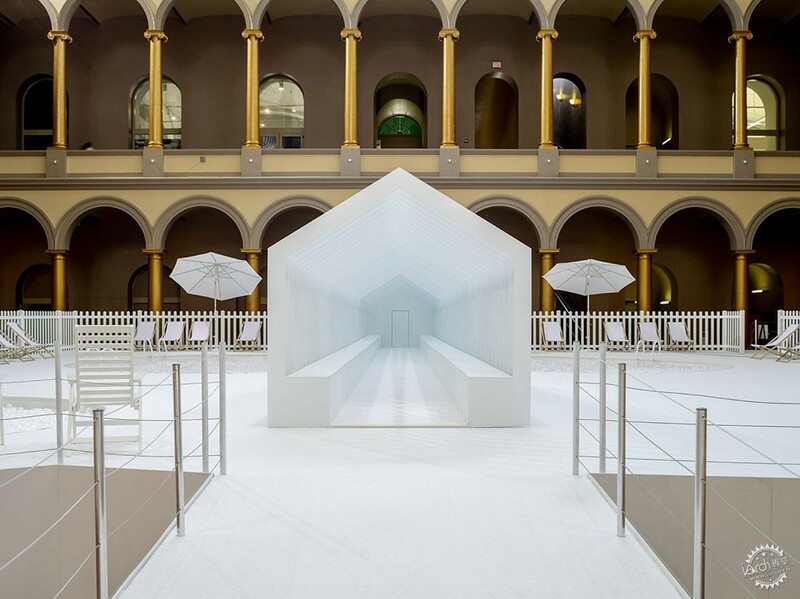 New York design studio Snarkitecture is celebrating a decade of projects with an exhibition at the National Building Museum in Washington DC, which includes a white gabled house and a kidney-shaped ball pit. 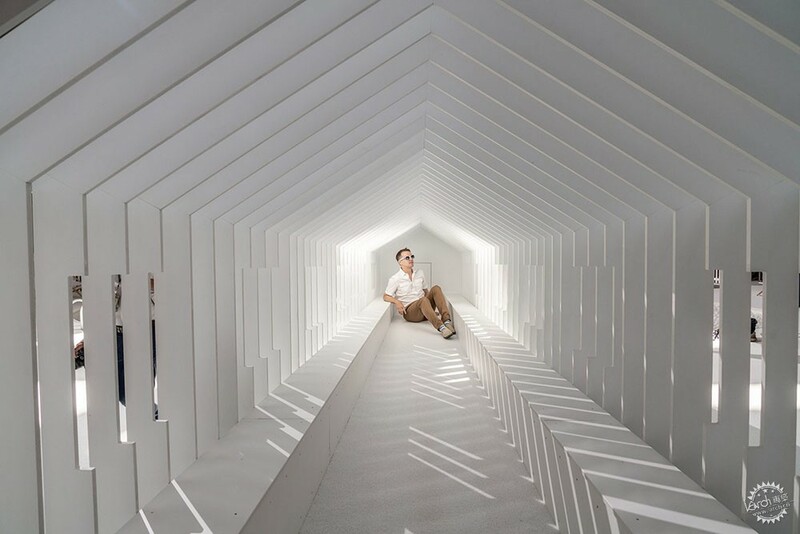 The Fun House installation marks 10 years since Snarkitecture – run by artist Daniel Arsham, and architects Alex Mustonen and Ben Porto – was founded in Brooklyn. 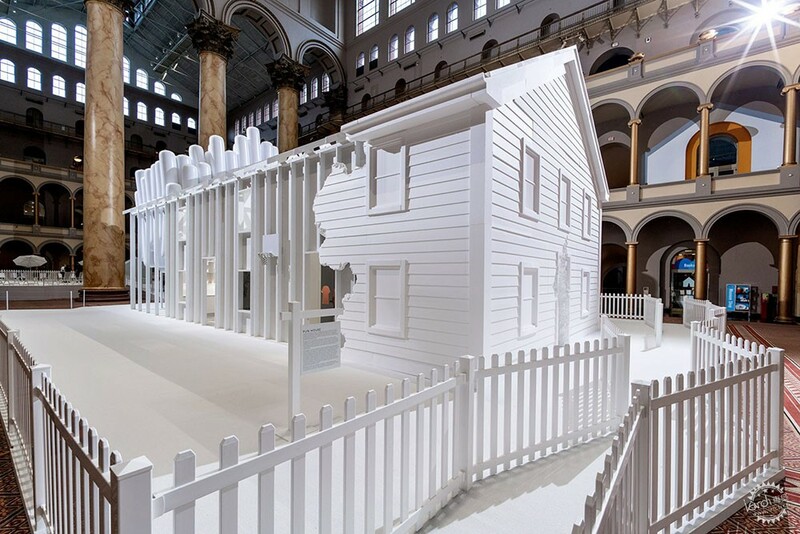 Extending down the National Building Museum's soaring Great Hall, it comprises a model home with a front yard and a back garden, all enclosed by a picket fence. Everything is white, providing a suitable backdrop for the studio's typically monochrome designs, of which 42 are on show. 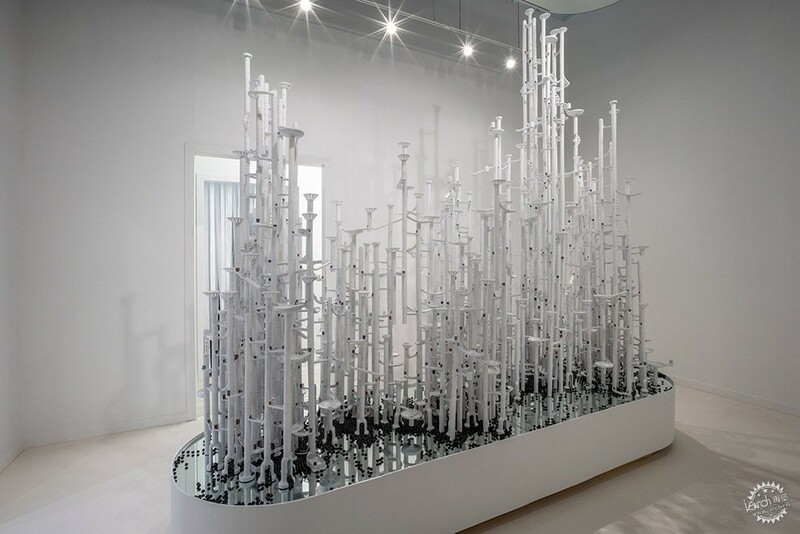 "Part museum exhibition and part immersive environment, the project invites visitors to explore Snarkitecture's past installations, furniture and objects," said Mustonen. 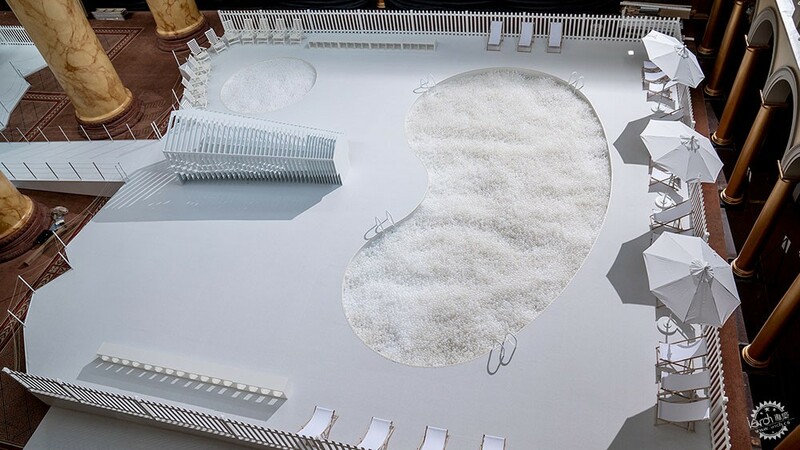 "In keeping with our goal of making architecture accessible and engaging, we look forward to introducing a new audience to Snarkitecture's work and practice." In the front yard, large letters are laid on the floor and spell out the exhibition's title. The same typeface was used by the studio to spell out A Memorial Bowing at Miami's Orange Bowl Stadium, for an installation in 2012. Set behind this, the pitched house appears like a stereotypical residence from the front. But the cladding along the side walls gradually disintegrates to reveal the wooden structure underneath. The front door and surrounding walls also appear to be crumbling, as the foam-block walls have been chiselled away. 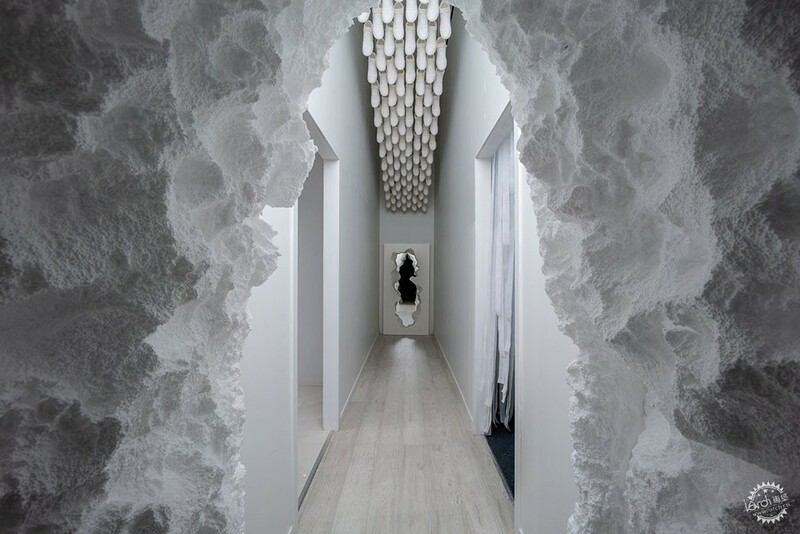 The effect draws on the studio's Dig installation in 2011 and continues inside, turning the entrance foyer inside the house into a cavernous space. From here, a hallway splits the interior down the middle. A series of 700 Air Jordan replicas hang from the ceiling, reminiscent of the same feature inside the studio's Brooklyn store for streetwear brand Kith. Other spaces display designs suited towards their different uses, including a playroom filled with marbles, and a study furnished with Snarkitecture's Slip chair, which features wonky legs and a slanted seat. Topographical ripped wallpaper, first showcased during Milan design week 2017, covers the walls. The bathroom features a mirror that the studio included at a pop-up store for fashion brand COS in Los Angeles, and another with curvy lacquered wood edges. A mound of pillows spill out of the exposed living room at the rear, which faces onto the backyard. Outside, the white shed-like pavilion that the team built in Columbus, Indiana, last year is erected. 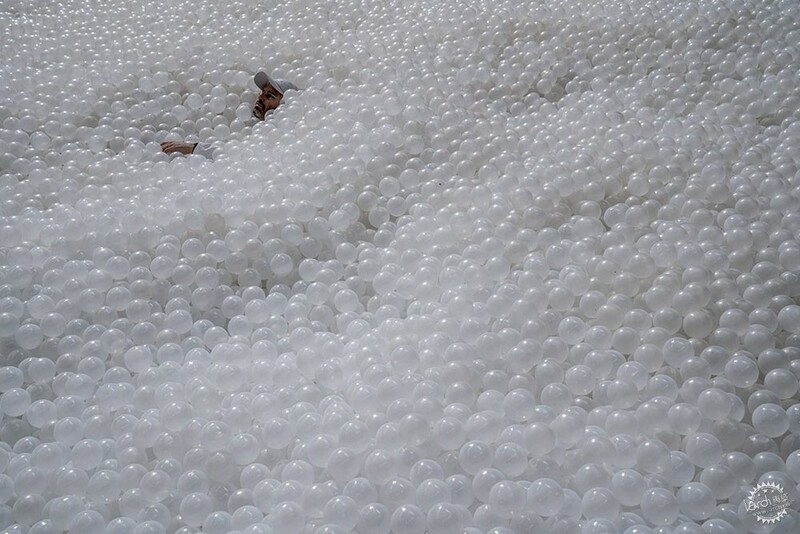 Behind this are a pair of ball pits shaped to look like swimming pools. 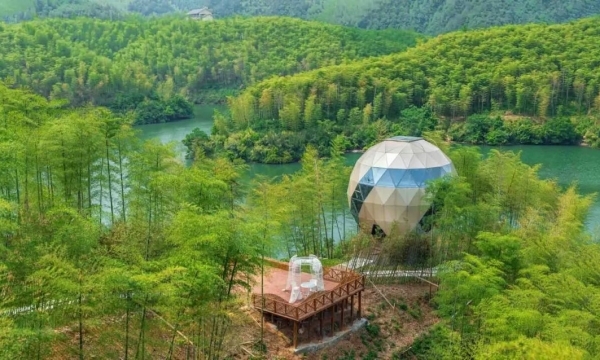 One is circular, while the larger is shaped like a kidney bean, with deckchairs and umbrellas arranged around it. Snarkitecture was founded by Mustonen and Arsham, who were then joined by partner Porto in 2014. 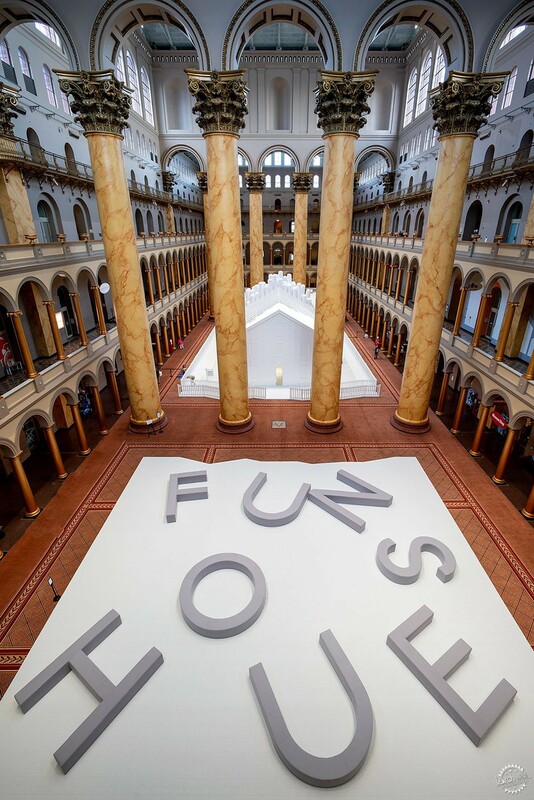 Fun House marks the second time the team has taken over the National Building Museum's Great Hall as part of its annual series of events and exhibitions, known as the Summer Block Party. 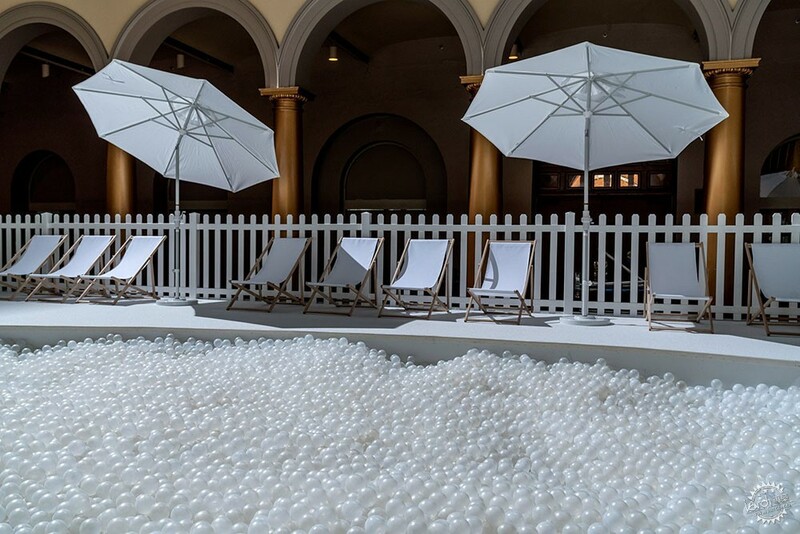 In 2015, Snarkitecture created a beach-like atmosphere in the space using a sea of translucent balls. 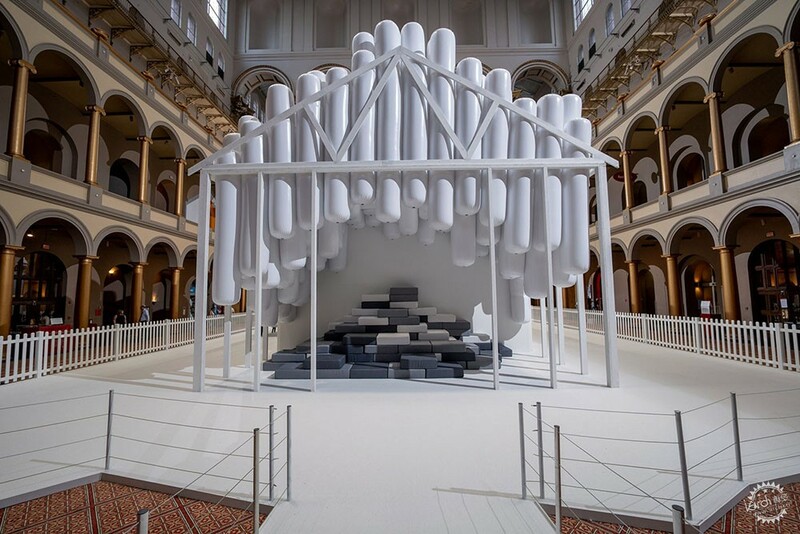 "We're excited to return to the National Building Museum and Washington DC with Fun House, the first exhibition looking back at past projects by Snarkitecture," said Mustonen. "Making architecture and design approachable and fun is at the heart of the success of our summer series," added the National Building Museum's Chase Rynd. 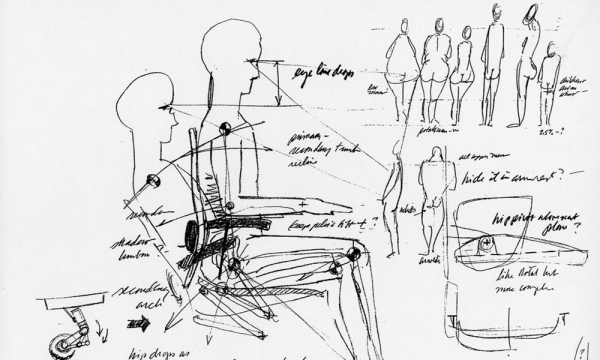 "Snarkitecture really understands our mission of inspiring curiosity about the world we design and build, and we're excited to be working with them for the second time." Fun House is the fifth in the museum's summer series. 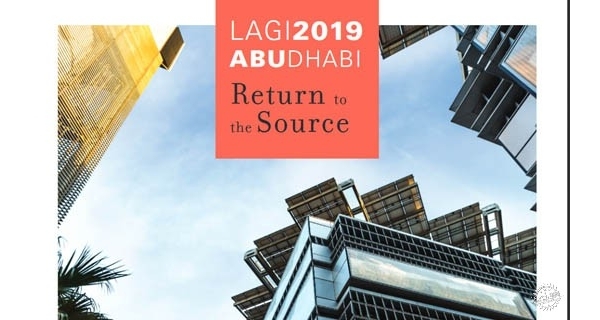 Previous editions have included Studio Gang's stacked-tube installation last year, James Corner Field Operations' "icebergs" installation in 2016, and Bjarke Ingels Group's wooden labyrinth in 2014. Photography is by Noah Kalina.